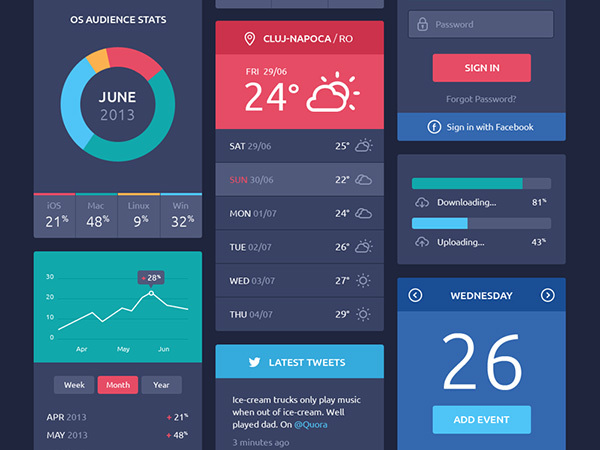 Are you searching for the best Flat UI design for your website or application? If yes, then you have arrived at the right place because we are proud to announce the Flat UI Kit Design for website and application designing. It is nothing but a magical web tool that can transform your website into a fantasy. Your visitors would love the rare experience of navigating through your website. They will love every bit of navigating through every page of your website. It is simply a magnificent web tool for designers who want to save their valuable time. 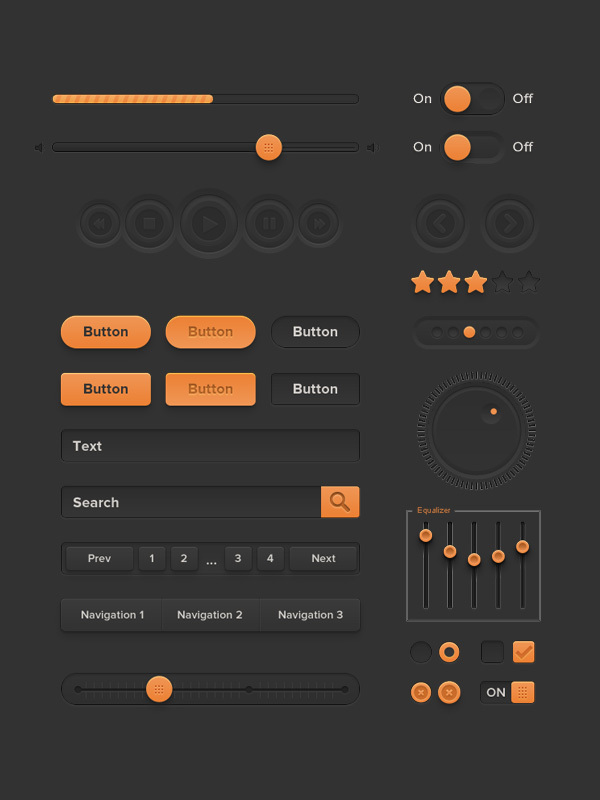 Flat UI Kit design has another magic in it. 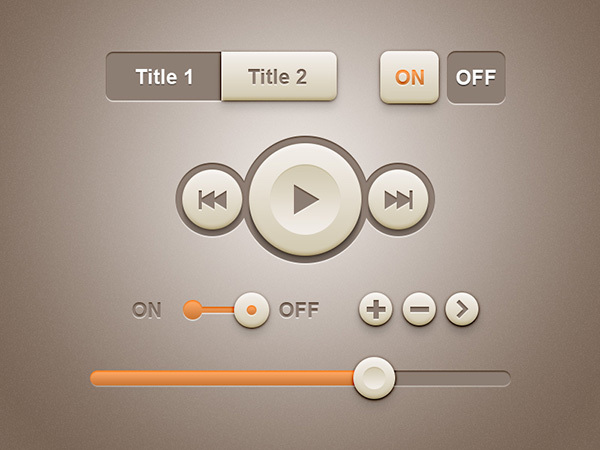 It is available in PSD format that has been created with Shaped layers. 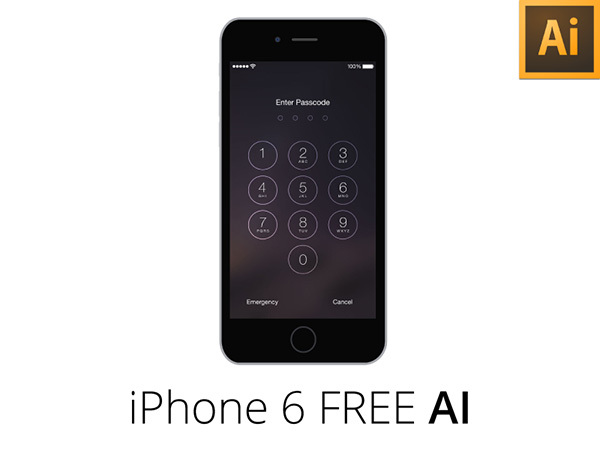 Thus it has been developed to cater to the needs of users who wish simple but nice User Interface. Flat UI Kit design has unique designs and all its components are beautifully listed for the users to understand and use easily. 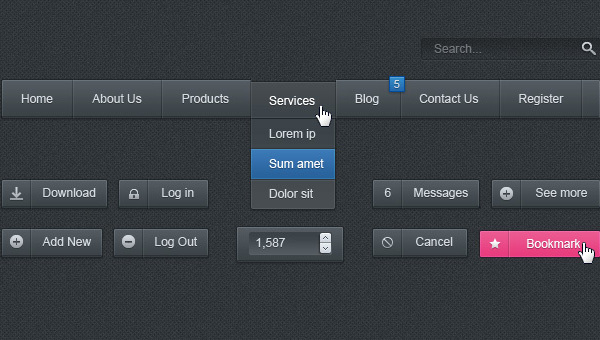 It contains separate lists like Progress Bars and Sliders, Tooltips, Social Buttons, Iconic lists and Navigation list. Flat UI Kit Design is stylish, elegant, colorful, and probably the best UI available over the internet which is based on flat design.